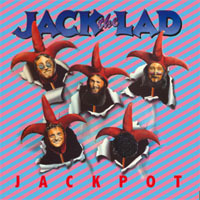 Founded in north-east England in 1973 by Rod Clements, Simon Cowe, Ray Laidlaw and Billy Mitchell, Jack The Lad (a name the former Lindisfarne members picked up from Status Quo on tour in Australia) had released three successful albums for United Artists, and while losing Clements and Cowe picked up Hedgehog Pie's Ian Fairbairn and Phil Murray, before recording this, their final album, 'Jackpot' in 1976. Closer to pop and rock than its predecessors, it features Andy Bown (ex-Herd, Status Quo) on keyboards, and a brass section on some tracks. This first ever reissue and CD debut on Market Square brings back the original album plus a generous number of bonus tracks in previously-unreleased demos as well as live material recorded in Plymouth of this highly- popular band in action. 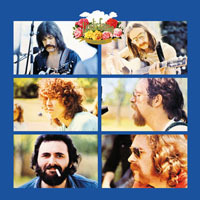 A 16pp booklet includes the album's history by Lindisfarne expert Jim Henderson and track synopses from the band itself.